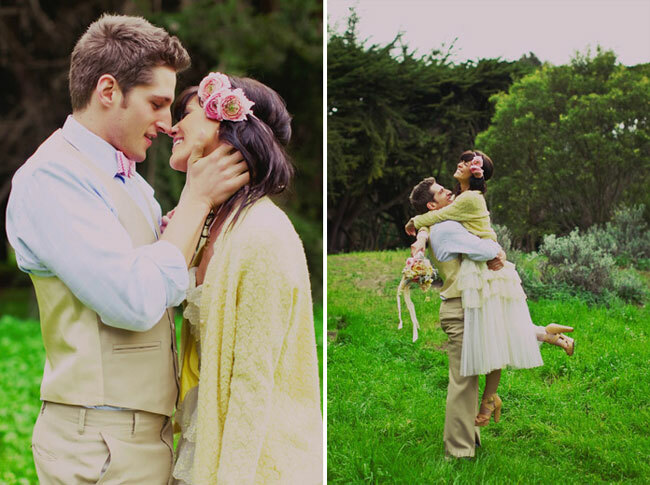 Today we’re sharing the cutest picnic wedding ever! 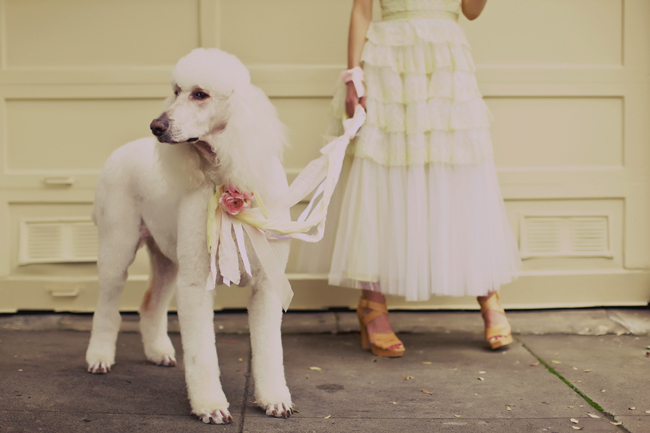 We are seriously obsessed with everything about it, from the vintage vibe of the decor, to the bride’s ruffly dress, and of course, the adorable pet poodle! 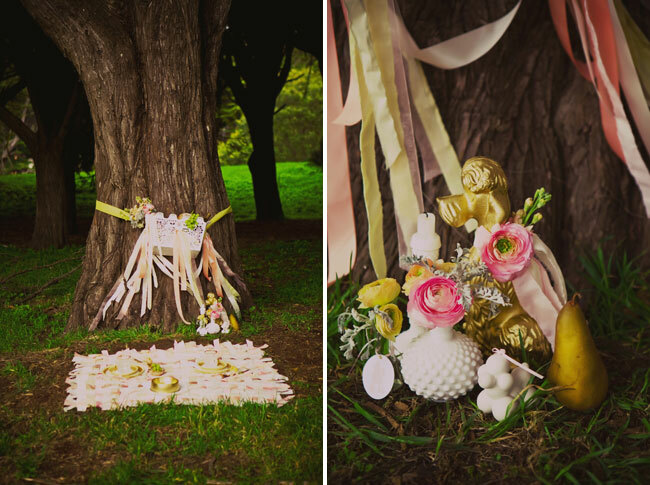 Sitting in a Tree did an amazing job with the florals and design, and we can’t get enough of the lovely photos by Tinywater Photography. 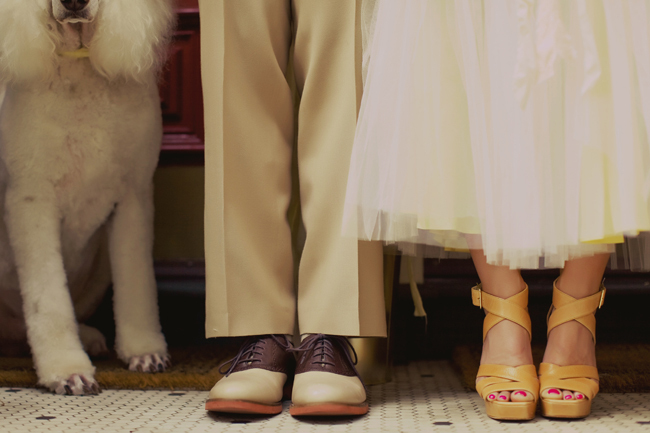 This wedding was in the most recent issue of Utterly Engaged, so be sure to check out the feature there too! 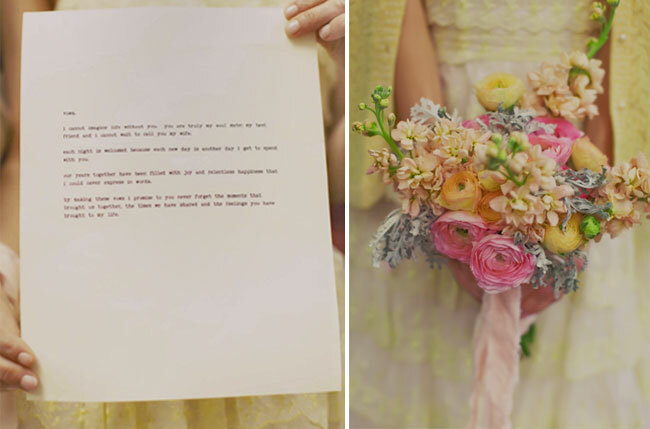 The typed out vows are so sweet. And that bouquet…swoon! 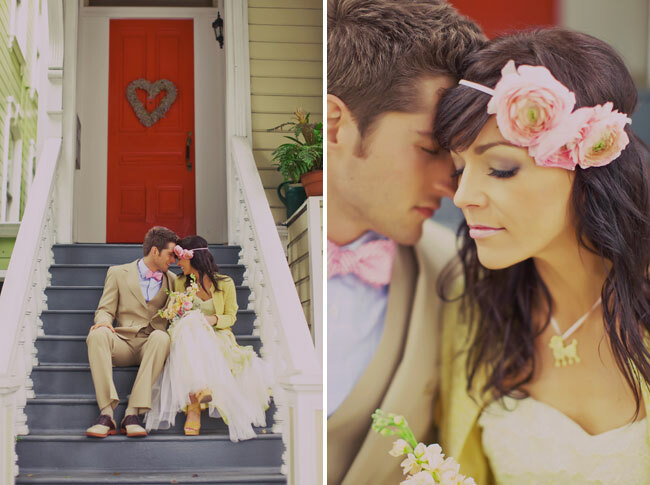 We love the beribboned ceremony on their front porch. 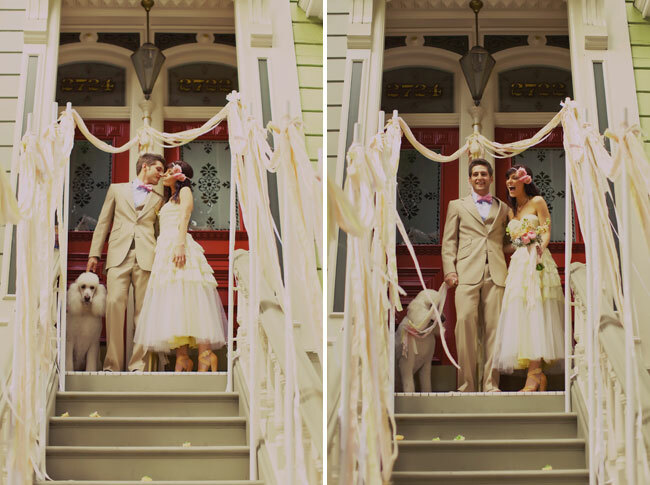 The bride wore a poodle necklace to match their super cute dog. Her hair and makeup were done by Luxe Image. After the ceremony, they had a sweet picnic under a tree. More ribbons were woven together to make a little blanket. How cute is that ruffly dress + yellow cardigan combo? Be sure to also check out the video below, from Cinematt! It’s super cute. Aperpciatoin for this information is over 9000thank you! 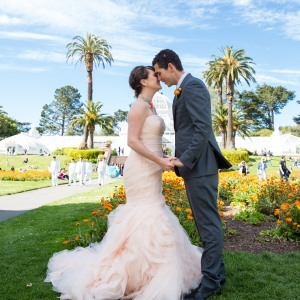 I absolutely love her dress…does anyone know the designer? I certainly would marry him ! Gorgeous! Does anyone know where her dress is from? What’s the name of the song in the video? It’s lovely! So cute! 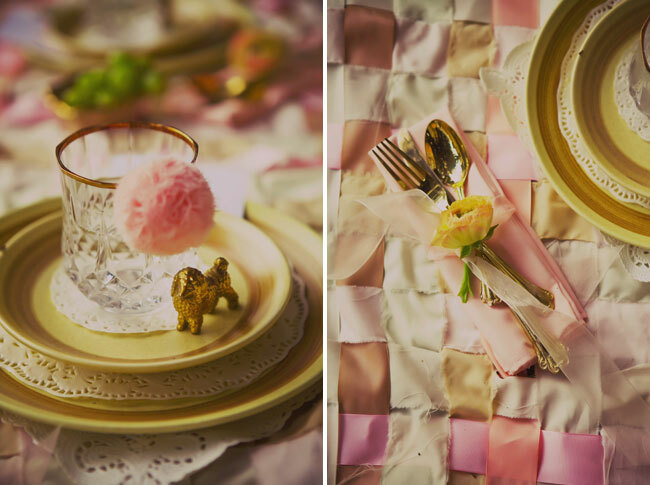 there are so many creative ideas in this shoot! love it! Loving her style! I SO could not have pulled that off. She did it beautifully. Thanks for sharing this romantic wedding full of lovelies. PS. 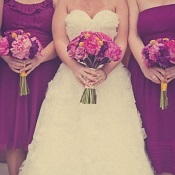 Her bouquet is so pretty! xoxo, chrissy. I’m in heaven-every detail is more gorgeous than the next! Is this a real wedding or a styled one? It’s gorgeous either way! And I LOVE the video! I don’t think I can take all the prettiness that’s happening in the photos. Her dress & bouquet are out of this world gorgeous!!! Oh my goodness, how lovely!! We love this whole team! Myka, Tori and Austin did such an awesome job creating a sweet + unique idea! Love it all! Tinywater’s images are simply stunning too!! Totally love this wedding! Fits together seamlessly! Details and Elegance! My tags! Wow, I love this!!! So unique and cute!! I love her dress. Thanks for sharing this beautiful wedding!